Of Johann Sebastian Bach’s five settings of the passion story, only the St. Matthew Passion and the St. John Passion survive. Within the past weeks, Handel and Haydn gave the St. Matthew and both Boston Baroque and Emmanuel Music presented the St. John. Sunday afternoon, King’s Chapel offered one of the more than a half dozen reconstructions of The Passion According to St. Mark based on the surviving libretto of Bach’s librettist Christian Friedrich Henrici, generally known as Picander. Using music from Cantata 198 and several other Bach sources that in one way or another can be connected to Picander’s words, Diethard Hellmann published his own reconstruction in 1964. 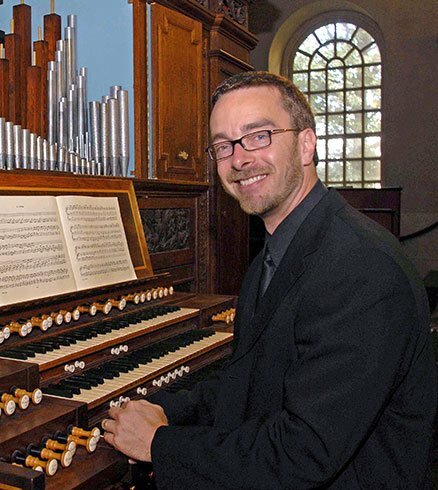 Interestingly, the American premiere was given at King’s Chapel in 1980 under the church’s longtime organist and music director Daniel Pinkham. Under the church’s current titular, Heinrich Christensen, The King’s Chapel Choir, Soloists, and Chamber Orchestra again took up the Hellmann. Lasting 70 minutes, this St. Mark comprised two choruses, five arias, and twelve chorales. In place of sung recitatives, spoken text was interspersed with the 19 movements. The drier acoustic of King’s Chapel and close proximity of performers and listeners contributed to an intimacy that belied the idea of concert, instead, embraced the tradition of worship. With both the reading and singing, especially of so many chorales, we became up-close partakers in this age-old story. Attention to humanity and faith came out of Christensen’s lead, and the musicians went entirely along with him. Bach’s harmonies spoke for themselves, purely and clearly chordal, often, though, deeply infectious through a semi-contrapuntal intricacy. To not try to make it happen, to allow natural dialogue between composer and performer is less tempting these days, but it remains the more challenging approach. That King’s Chapel took this tactic refreshed and inspired. After a disappointing soprano aria, “Welt und Himmel” (Earth and Heaven) with uneven tessitura of a sharp-edged high end and hard-to-hear low end, the closing chorus, “Bei deinem Grab und Leichenstein” (By your graves and tombstones) lilted and danced lightly, cheerfully to “And for your worthy sacrifice I will be joyous and thankful from the heart.” Speedy violin flourishes topped off the closing chorus. Soloists Heather Holland, Hannah McMeans, Claire Shepro, Sean Lear all gave absorbing vocalizations that often featured a sustained tone or a rapid melisma. These were focused on spirituality. One of very few missteps allowed Mezzo-soprano Claire Shepro’s warmly rounded and affective voice to be covered by the orchestra. When they took Jesus away, the most familiar of chorale tunes, “O Haupt voll Blut und Wunden” (O sacred head now wounded), sounded twice, first with “Entrust your ways and what pains your heart to the tender care of him who shows the path to heaven” and next with “O noble head, from which withdraws the entire world, how they spit upon you.” In these more cynical times, Bach and St. Mark through Hellman and King’s Chapel surely, lovingly, heightened our sense of purpose. If you want the ultimate in spiritual music (or any music for that matter) come to King’s Chapel every Sunday at 11 a.m.. Heireich is a genius and the singers are the best ever.